Looking for a Kid Microscope? 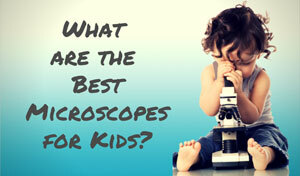 Choosing a kid microscope can be a daunting challenge. The varieties are endless, and the prices vary greatly. 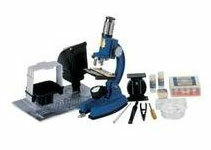 The Konus Konusscience Zoom 1200x Biological Microscope is a nice model for kids of all ages. 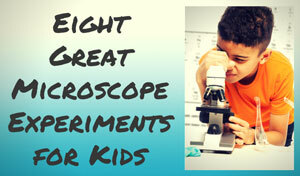 With all the great accessories and features, it's another good option for budding scientists. One of the fun points about this Konus microscope is that is an all in one microscope, viewer, projector, and camera attachment. It functions like a traditional compound microscope, yet you may also project images onto walls or paper. The additional camera feature lets you take pictures, making it easy for kids to share what they see with everyone else. This model comes with an impressive eighty-one piece accessory kit to keep scientists busy. Besides the projection and camera features, it also includes traditional tools like tweezers, slides, a Petri dish, a scalpel, a needle, and a collection vial. 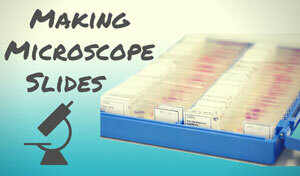 A microtome is also in the set so that users can get thin specimens for making their own slides. Another thing we liked is that this is an easy microscope to use in many different environments. Two AA batteries power it, and you can use either a traditional mirror or the LED light to illuminate specimens. The included carrying case also helps keep the set together and safe when traveling to the pond or beyond. Despite all the pluses, there are some consumer complaints, mainly with the battery compartment. In order to change the batteries, one needs to remove a gasket and remove a screw in order to access the compartment. This problem is exacerbated by the fact that users report burning through batteries very quickly. There have been some issues with construction as well. There are metal parts, but a good deal of the optics and body as plastic. This makes it a little less sturdy than one would hope for a kid microscope. The Konus Konusscience Zoom 1200x kid microscope is a well-built unit that provides many learning opportunities for little ones. Whether they're taking a private look or displaying their findings for everyone, kids will get a lot of use out of this model. It may not have the optics of a lab quality microscope, but it delivers reasonable quality at a reasonable price. Recommended for: This microscope was built for kids over age 8. There are lots of small parts that make it an undesirable option for the 5 and under crowd. The sharp implements could be an issue, but with parental supervision the microscope can work for just about any age group. 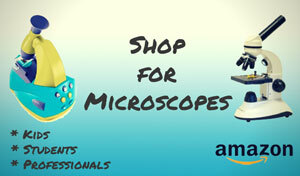 Buy the Konus Konusscience Zoom Biological Microscope at Amazon! The Konus Konusscience Zoom 1200x Biological microscope was one of our top pick for kids, but we also gave high marks to the TK2 Scope and the My First Lab Duo Scope.